Our Shockoe family is comprised of people with different skills, talents, and backgrounds — we know it’s what allows us to grow and learn as a team. It’s for this reason that our internship program took on a different shape this year. Thanks to the prep work and persuasive initiatives of our very own Mason Brown, Shockoe put together a comprehensive program focused on leveraging our culture of mentorship and growth, not just for the interns, but for our team as well. Jackie, Matt, and Cameron joined the Shockoe team in May and shared their invaluable contributions to design, strategy, and development. We were fortunate enough to call them part of the Shockoe team, albeit for the short period before they headed back to their studies. We asked that all three share their thoughts and experiences of being an intern — one thing is for certain: we will miss having them around! There were many cool firsts for me while working on the Intern Project. It was my first time working with a developer to move a design past the prototype stage. I had to learn the best way to communicate and quickly problem-solve to align with a developer’s process. This was also my first experience with QA testing. I helped evaluate the app for both functionality bugs and inconsistency with the UI. Additionally, this project was the first time I designed using the agile methodology. It was awesome to see how in such a short amount of time we were able to implement a whole process including discovery, design, and development. Being part of the design team was as fulfilling as it was educational. Everyone was willing to answer any question and quickly welcomed me as a member of the team. I loved the all-hands weekly design meetings where we shared projects and received feedback and advice discussing new tools or resources to better execute our job. I also had an amazing mentor, Sam Carbonell, who helped me define goals for the summer and met with me regularly to help steer my time here at Shockoe. I am so grateful for this mentorship and am happy to say I met all my goals! Working at Shockoe for the summer has made me more confident in my design skills and I know I walk away with a new breath of knowledge. Thank you, Mason, Sam, Paulina, and Edwin. I came into my internship the same way many others do. I had no idea what to really expect out of the experience, and I was afraid of underperforming in front of my new found co-workers. Shockoe had a prearranged system set up in order to ease me into their environment, masterfully uncovering their processes to me as time went on so that I would not be overloaded with information. Shockoe allowed me to get a first-hand experience into their continuous integration system with technologies like Jira, Bitbucket, and their own accredited App Tracker, as well as work with some of the teams on real applications testing for faults. Before I got here my knowledge of app development came from Native Android, and instead of having me continue with this, they challenged me to branch out and learn the React Native framework. By learning React Native, I also got experience working with redux, as well as using Firebase for cloud data storage. I utilized these newly established tools in my favorite part of the internship, the Summer Intern Project. 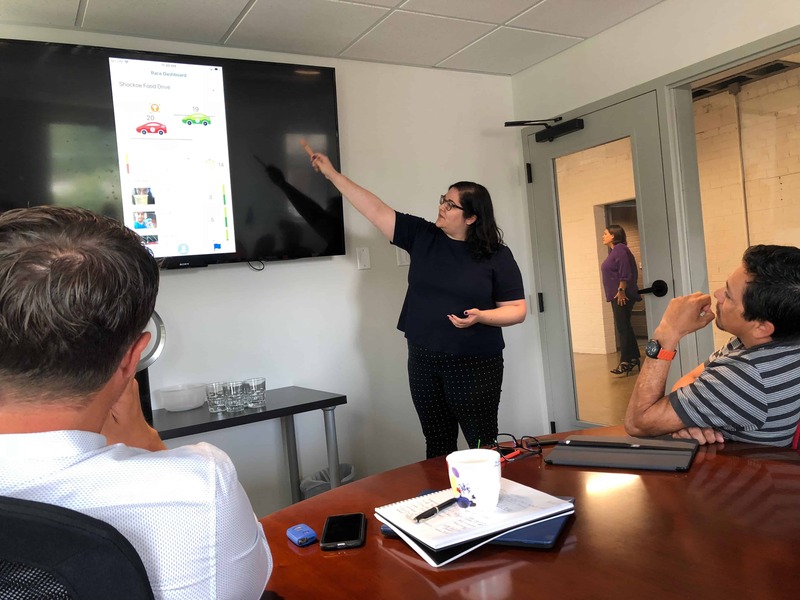 This project granted me real experience working with Jackie and Matt, the designer and strategist interns respectively, to develop a high-functioning app by the end of the summer. I got to learn a lot about their processes and the obstacles of their role to both communicate and integrate their ideas into what I then had to develop. 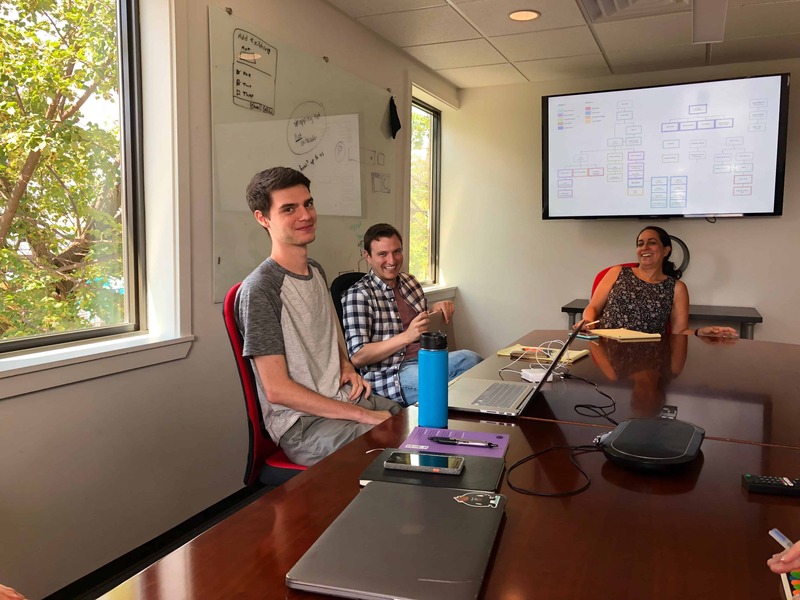 The app vision was handled by our amazing internship coordinator, Mason Brown, and our product managers Rebecca and Misty made sure the project timeline and direction stayed on track. 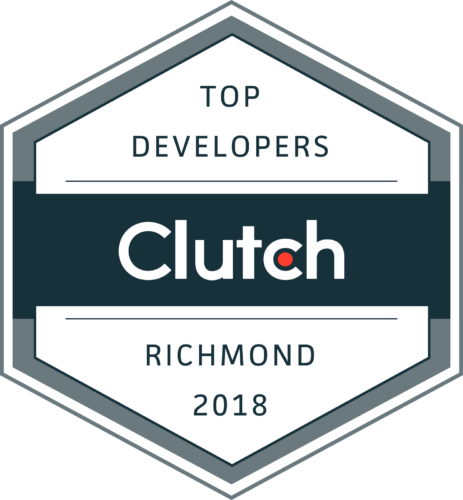 Getting up and bugging senior developers can be a daunting task at some firms, but here at Shockoe, the developers are very understanding and open to help. Whether you are asking to learn more information about a subject, or just have debugging advice they really want to see you grow. I believe that this stems from the amazing culture established at Shockoe. Shockoe’s emphasis on culture meant they provided many activities outside of work to get co-workers involved. Lunch and Learns were always a great experience since they gave us the chance to sit down with peers for a free lunch and to listen in on a topic from another coworker. Whether that be hearing about the Mystery of the Stolen Bicycle or a lesson on how to self-defense, an amazing experience was always guaranteed to ensue. I was also a member of the Shockoe indoor soccer team (or Shockoe Futbol Club, SFC) which gave me something to do outside of the office and a better chance to get to know my colleagues while playing a game of soccer. Last but not least, by the summer’s end the office held a summer party solely for the team and family member to enjoy a BBQ, corn hole, Jenga, a live DJ, and so much more! I cannot thank Shockoe enough for the invaluable experience they were able to provide for me. I can leave Shockoe feeling much more confident in my own skills in an industry where you always feel out of place. Thank you, Mason, Paulina, Edwin, Andrew, and the rest of the Shockoe team for hosting this amazing internship program! As an Experience Design student, most of my class projects wrap up after concept presentation and prototype walkthroughs. So I was excited for the opportunity to learn how designs and wireframes turn into functioning products, and I don’t think there’s a better company in Richmond to learn that process than Shockoe. I learned from a variety of opportunities throughout my 9 weeks here. For the Feed Racer intern project, my role was to be the project owner. I worked with Jackie and Cameron to design, develop, and bring our ideas to life. I learned to write user stories, which break down and translate user behaviors into individual features and functionality. One of our biggest challenges was time, specifically not enough of it! I wish we could’ve had 2 more weeks. So we focused on the MVP, and laid out the plans to iterate, and improve. Prioritizing features and fixes was the greatest learning for me because ultimately those are the moments and decisions that make or break success! One of my other favorite projects and built skillset this summer was focusing on Usability Testing. It was my responsibility to field surveys, screen respondents, and schedule a day of participant interviews. I helped coordinate and participated in the interviews and synthesizing of notes and findings. It was a cool experience to see how people’s thought processes lead them to behave and interact with screens so differently. Overall, Shockoe was a great place to intern, and the direction and support we received from the Shockoe team was amazing. A big thank you to Mason, Rebecca, Misty, Paulina, and Edwin! On behalf of the entire team, thank you Cameron, Matt and Jackie for your hard work, your warm and engaging spirits, and for embracing the culture we proudly call Shockoe — we wish you all the best with your ongoing studies and thank you for helping our team grow and learn from your truly valuable contributions. Keep an eye out for our next blog post where we will showcase their summer project app aimed at helping local food banks with collection drives and encouraging giving through a fun competitive interface.